Signature custom codes allow you to create you own data dictionary entries, and associate them with one or more rentals. 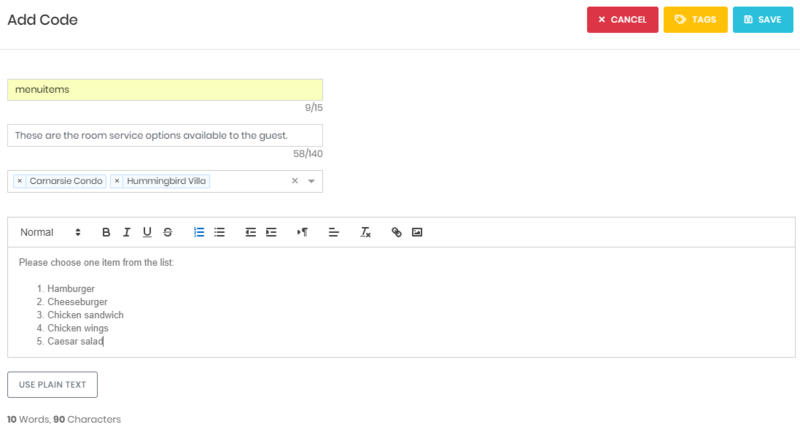 Enjoy the increased ease and flexibility you will experience creating, editing and managing your custom messaging. Click the New button to create a new custom code. 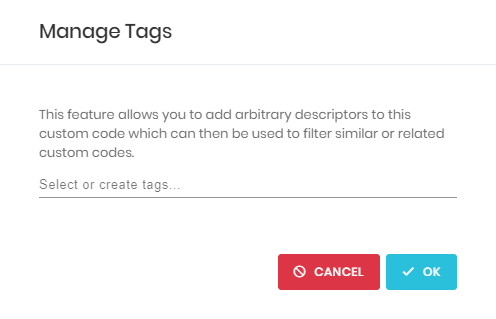 Give the custom code a Name, and add a Description that will allow you to quickly understand the purpose of the code. Enter your custom message into the code editor. You may toggle between plain text and rich text editing modes by clicking the Use Plain Text button. Select a rental from the drop-down selector. Each custom code can be assigned to one or more rental. 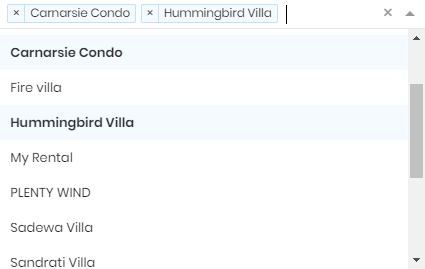 Multiple codes can be made with the same name, but different rental assignments. The custom code assigned to a rental will be used for any messaging sent to that rental that contains the custom code. When creating or editing a custom code, and another code exists with the same name, you will see a warning if you try to select an overlapping rental. 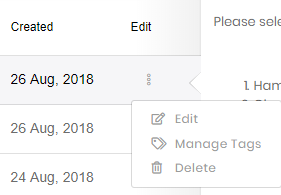 You will not be able to save until you deselect the overlapping rental. Click the Save button to save or update the custom code. Once your custom code is created, it can be used in your templates. These will appear under the Custom menu in the Signature Data Dictionary.